Congenica, a leading provider of clinical genome analysis technology formed to commercialize research by the U.K. Wellcome Trust Sanger Institute, said yesterday it has raised £8 million ($10 million) in Series B financing. 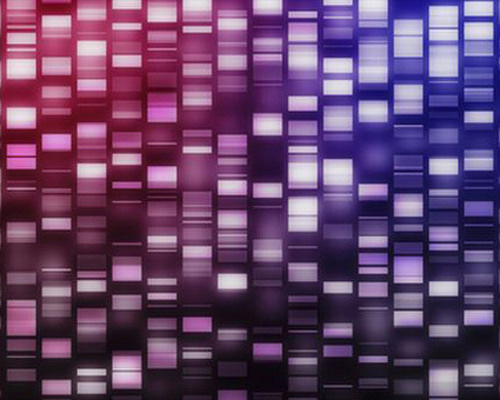 Congenica said it will use the Series B investment to accelerate international growth and expand customer support for its Sapientia clinical genome analysis platform, with the goal of sustaining its commercial rollout. The company added that it will also invest in further product development and innovation. “Our goal is to be the international leader in data solutions for rapid and accurate diagnosis of rare genetic disease. This financing will enable the exceptional work of our team to realize the next steps in product development, international expansion, and in supporting our growing user base,” Congenica CEO Tom Weaver said in a statement. Toward that goal, Congenica in January appointed Shikha O’Brien, Ph.D., as chief business officer. Dr. O’Brien, who will be based in San Diego, will oversee the company’s efforts to drive growth in international clinical diagnostics markets, as well as cultivate global pharmaceutical discovery and development partners. San Diego is Congenica’s first location outside the U.K., with the company saying in January it plans to establish another office on the East Coast. To speed up clinical interpretation of variants, users can access integrated OMIM, OrphaNet and PubMed tools combined with all major variant databases. Sapientia lets users upload any kind of NGS data from gene panels, exomes, and genomes, in all genomic file formats including FASTQ, BAM, and VCF, according to Congenica. Since the launch of Sapientia in 2014, the technology has been adopted by users in the U.S., as well as the U.K., China, and several EU countries. UCB Pharma is among Sapientia users, as are several hospitals within the U.K.’s National Health Service (NHS). The platform has been validated by Genomics England through the U.K. 100K Genomes Project, as well as other independent institutes and clinicians. Based in Cambridge, U.K., Congenica was the first company to move into the newly-opened Biodata Innovation Centre on the Wellcome Genome Campus. Congenica is based on research carried out by the Wellcome Trust Sanger Institute, a shareholder in the company, as well as by clinicians from the NHS and regional genetic testing laboratories. In March 2015, Congenica raised £2 million ($2.5 million) from Genomics England in its SBRI Phase Two assessment of Enabling Technologies for Genomics Sequence Data Analysis and Interpretation. The following month, Congenica completed a £2.2 million ($2.7 million) Series A financing round by Amadeus Capital Partners’ early stage funds and the company’s initial investor, Cambridge Innovation Capital (CIC). In the latest round, CIC and Amadeus participated in the financing along with new investor Parkwalk Advisors. Parkwalk Partner and Co-Founder Alastair Kilgour will join Congenica’s board.